What better than to race something with no engine?! Yeah!!! Well, hell.... pinewood derby, anyone? Them kids and dads have a blast! People that fly around in gliders surely have fun, too, right? I imagine at some point someone raced some sailplanes impromptu but has there eve been officially sanctioned events? (this is both rhetorical AND actual, because if there ever have been sailplane races I'd like to know about it.. ) Well, there is now!!! The Cayley Cup, for Sir George Cayley, the "father of the aeroplane." " In 1849, he made another breakthrough. 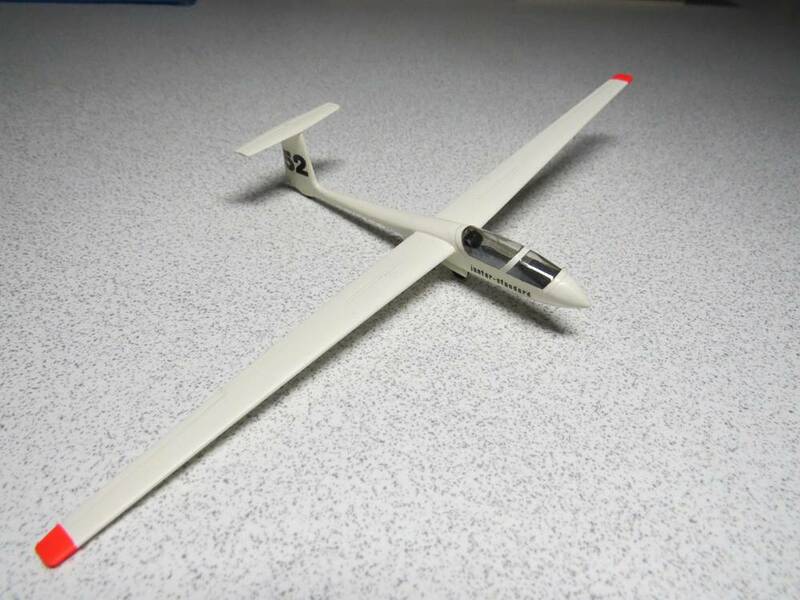 He built the world’s first functional, full sized glider. " So far the Cayley Cup on has one participant, my Thunderbird 7. Polish registry if I remember right? Poles love gliding! 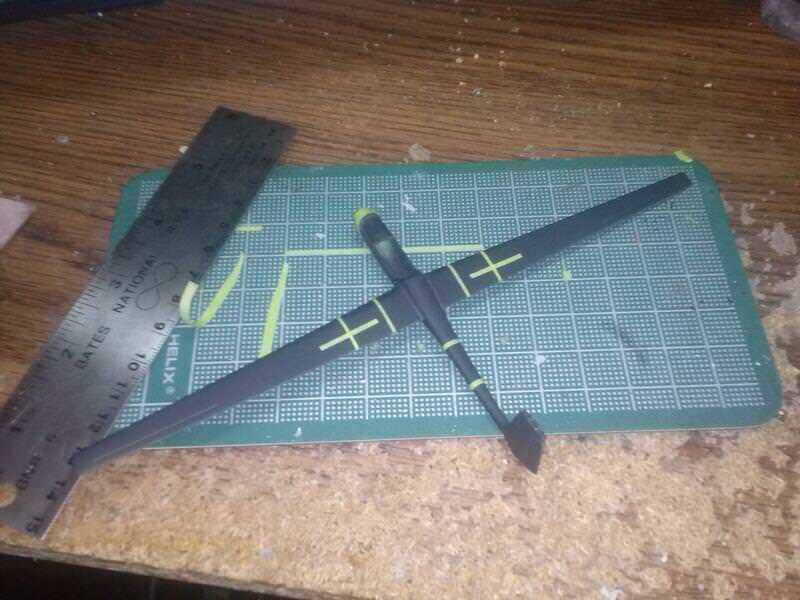 So anyway... this time around I have another Polish glider called the SZD-41. I'll make it as a reasonable counterpart to the other one. I want it to look like they're all from the same universe doing the same thing. 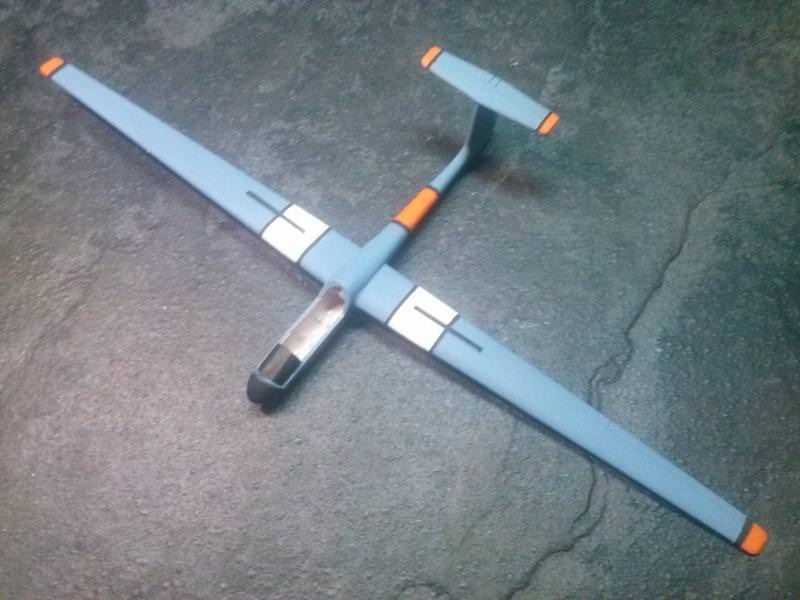 This thing is tiny, however, so I'll likely only be able to adverts on the wings. We'll see. The goal is to paint it in a "Gulf 66" type of paint scheme with faded blue, orange, & maybe some black and white striping or something. Orange and black striping on the wings.. something. Should be fun. 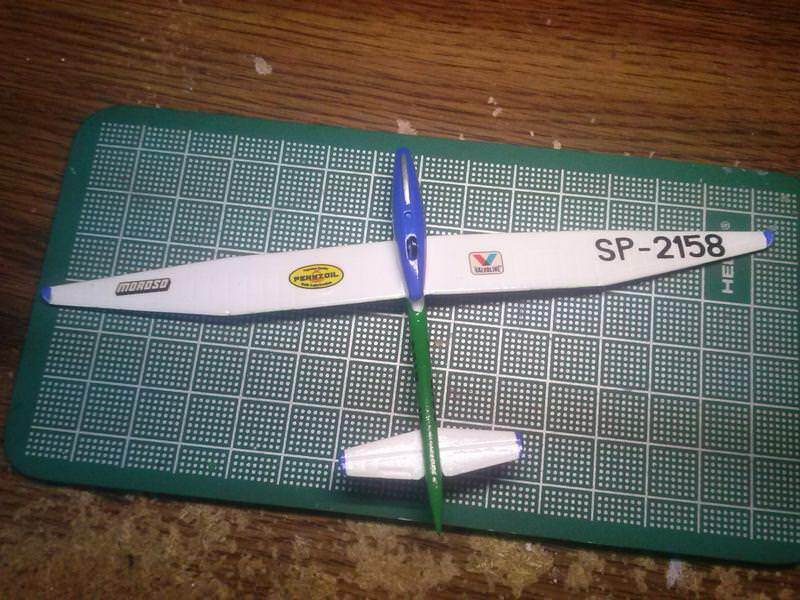 I have another sailplane kit so might make it, too. Almost all gliding contests these days are effectively races, although they're not head to head as they're timed from crossing the start line to crossing the finish line, each sailplane flying on its own. This has resulted in the current breed of high speed gliders with massive water ballast tanks to speed them up in the cruise. 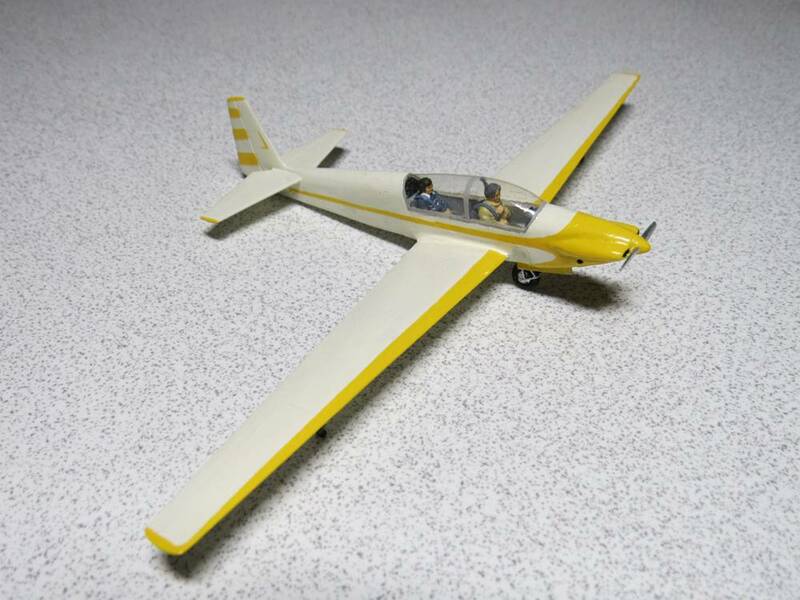 Love that SZD-41, a guy at my club used to have one but I've not seen it for some years now. Man that sounds exceptionally cool. I stumbled across a Polish website earlier (but didn't bother with google translating it) and it was about a sailplane championship they have there... same thing I assume! I was wondering what that could be and was hoping it was racing. 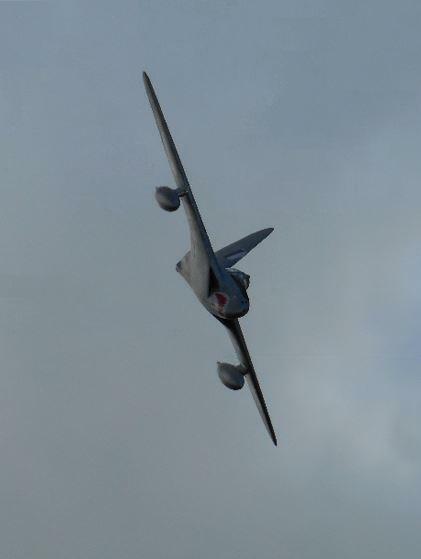 I ought to grab one my B-29s and do this with it (as I don't have a B-36...and B-36 would be bad). Hmmmm..... let's see here... might be able to fit 3 gliders behind a B-29. Would be tight, though! Maybe two and they have glider drag races. 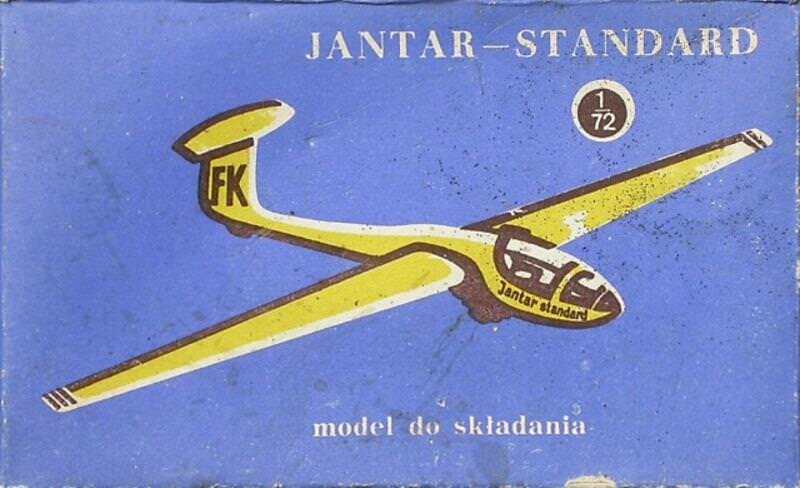 What a jolt to the memory that was, I built that kit of the Jantar Standard some years ago and here is a photo of it. If you have looked in the box you will understand the slight changes I had to make to it. 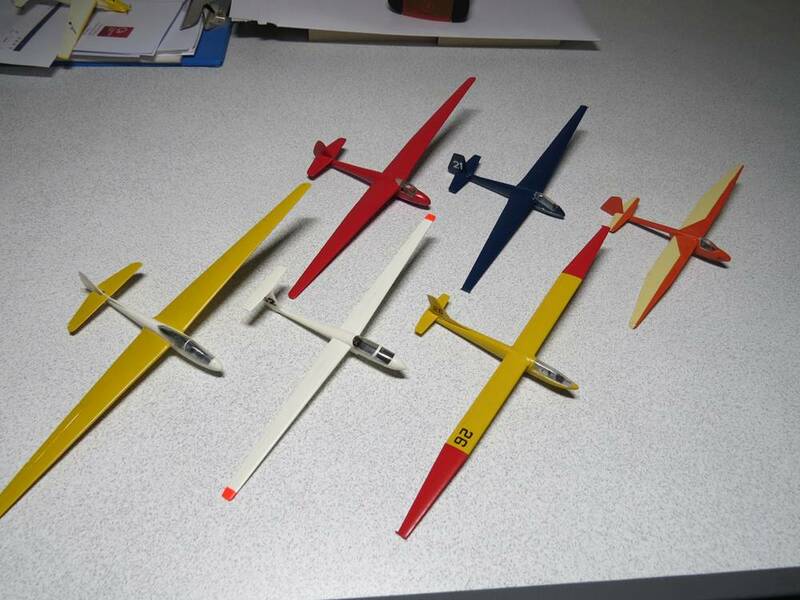 At the same time I built the rest of the gliders in that series of kits. 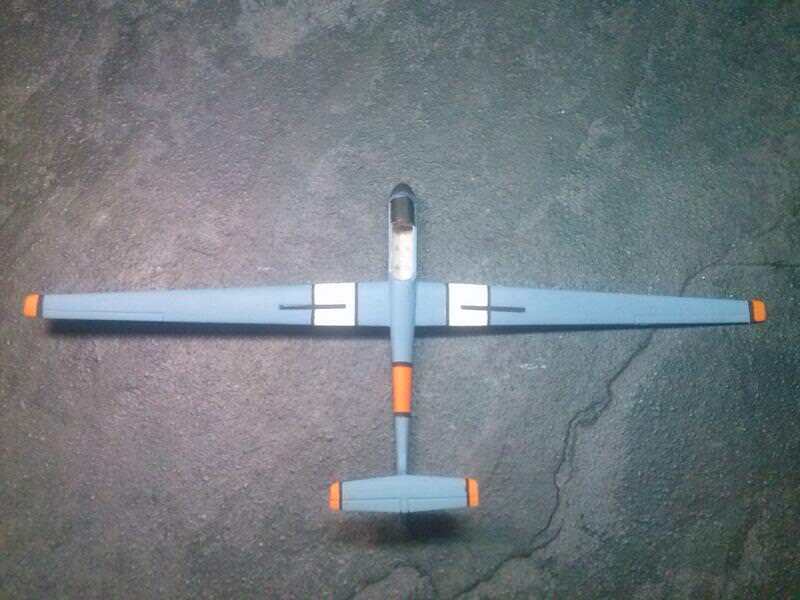 The Bocian is an early version with the rounded tips to wings, tailplanes, and fin. It also had the heavy framing on the canopy. I did not like that framing so I sanded, and polished, it away. Now here is a model that I scratch built at the same time. 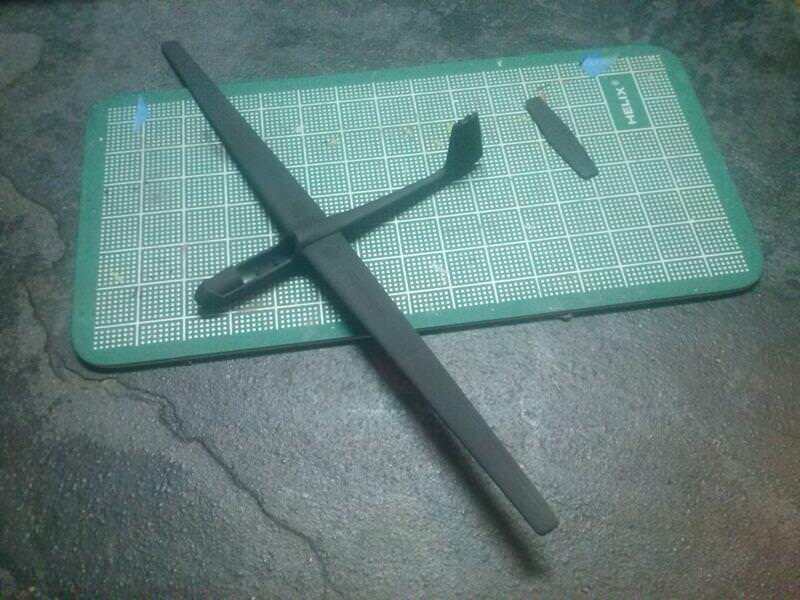 The only bits that came from kits are the propeller (cut down from one from an Airfix Islander)(a kit that was plentifull in those days). Also the pilots. The one in the front is a reworked one from the old REVEL Dh-2, the guy in the back, I have no idea where he came from. It is only now that I have realised that these are all WhatIfs, none of the colour schemes are real. That has been quite a revelation for me, thank you. Lovely stuff Jim, very nostalgic, and not from so long ago either, I've flown a Bocian and an RF-5. PSR is done and it is primed. On to the painting next, I suppose. Finally working on the layout for the livery. Been masking and was ready to paint when I decided to stop and see how the canopy would integrate. In short, IT DOESN'T. An old problem I've dealt with before: the canopy is LARGER THAN THE FUSELAGE. Good Lord. I've said it before.... being such a focal point and important part of every aircraft build, why do kit makers not put a little more effort into at least making it the correct shape and size?? Sheesh... I'm trying to file and sand on it to make it better but it's looking more and more like I'm going to have to glue it on then use filler to make up the gap. This is why I ceased the painting operation. If I can't get it shaped correctly, I'll have to glue it on, use putty, sand it, THEN paint. Doesn't look like much, but getting all this the correct size, placed correctly, and simply to fit on this tiny thing, is more work than meets the eye. It won't be anything fancy but it's easy to have crooked lines and things that don't look right. I hope I did alright. In my mind, it seems OK but we'll know for sure after the masking comes back off. Ones with a keen eye may have noticed that the horizontal stab is a bit crooked. I saw it, too! I've since corrected that. 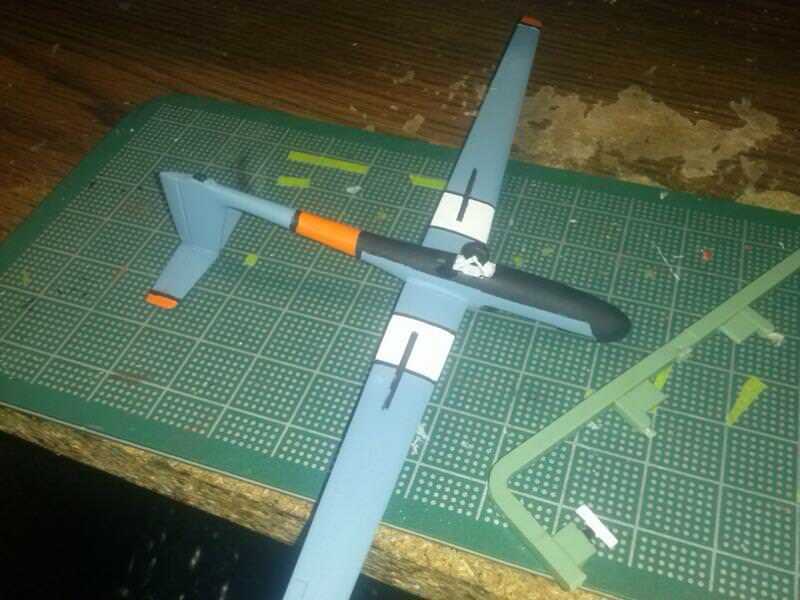 Also, the very nasty gap and terrible fitment issue with the fin and the stab have been resolved. The name looks like something from the Star Wars 'verse, though. Thanks, bruh! I'm definitely feeling more amenable to the whole thing after getting this paint laid down. It doesn't even look like what I had envisioned, yet, looks very acceptable anyway! It's almost like some modern art stuff. The highly over-priced kind. (but yet still have nice colors and such!) I'm digging it. 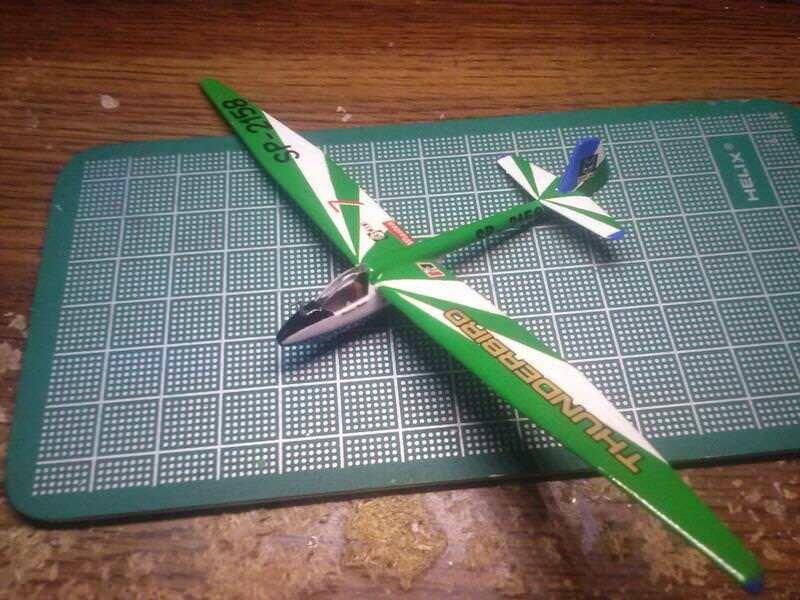 I did a couple of those gliders and found the same issues with the canopy. I 'solved' them by posing them with the canopy open, but that does mean you ought to do a tad more detailing in the cockpit of course. I considered that and if not for the fact that I don't care for open canopies I would have saved myself some grief I'm sure. But, I have to have this one match the other; its canopy is closed, so my hands are bound by my own want to have uniformity. I have one more of these from Poland and rest assured, the canopy fitment will be the FIRST thing I check when/if I get to work on it. Oh well, I'm not bothered by it enough to waste any time on it. I'm just going to burnish them down best I can then gloss clear it all for decalling! I am in fact done painting. The gear doors were all that's left other than the wheel and touch up is done as well. Interior is finished and seat glued in as well.